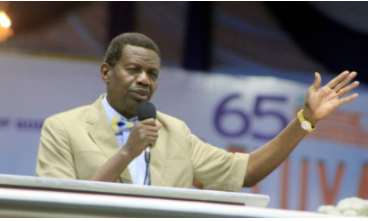 PRESIDENT Muhammadu Buhari has joined all members of the Redeemed Christian Church of God (RCCG), Christians in Nigeria and many parts of the world to congratulate Pastor Enoch Adejare Adeboye, General Overseer of the RCCG, on his 76th birthday today. 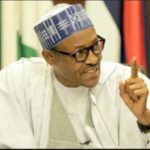 President Buhari, in a statement by his Special Adviser on Media and Publicity, Chief Femi Adesina yesterday also extended warm felicitations to the family and friends of the highly revered preacher and teacher of the word of God under whose leadership, since 1981, the church has grown to become one of the largest congregations in the world, with parishes in almost all countries. The President affirmed that the exemplary leadership provided by the servant of God has resulted in an exponential growth of the church, which directly translates into development of infrastructure, building of educational and health institutions, as well as vocational centres that have created a means of livelihood for many Nigerians. He commended Pastor Adeboye’s warmth and friendliness, recalling his visits to the State House, and most significantly, the historic visit in London when he was on medical vacation. 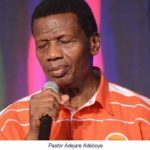 President Buhari said Pastor Adeboye has planted seeds of the gospel that posterity will always remember, especially his divinely inspired dream of ensuring that there will be a church within every walking distance in the country. 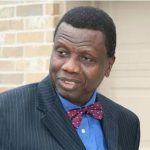 The President extolled Pastor Adeboye for his humility, focus, discipline and sacrificial spirit of giving up his personal comfort, career and dreams, to take up the higher call of leading the Lord’s flock. He prayed that the almighty God will grant the church leader longer life, good health and more strength to propagate the word of God.